itStyle Make Up MilanoSmokey Natura..
itStyle Make Up MilanoSmokey Natural - Palette 16 Eyeshadow Description New eyeshadow..
ItStyle Concealer Palette (5 Colors..
ItStyle Make Up Milano BBConcealer Palette Description Green: for redness and ble..
ItStyle Automatic Eyeliner Pencil -..
ItStyle Make Up Milano Automatic Eyeliner Pencil - 02. Navy Blue Descrip..
ItStyle Make Up Milano BTX Eye Cream Description Intensive anti-age treatment for..
ItStyle Make Up Milano Automatic Eyeliner Pencil - 07. Ottanio Descripti..
ItStyle Perfect Cream - 09. Peach..
ItStyle Make Up Milano Perfect Creamy - 09. Peach Description Illuminating c..
ItStyle Make Up Milano Black Kajal Pencil Description Kajal penc..
ItStyle Compact Eye Shadow - 042. ..
ItStyle Make Up Milano Compact Eye Shadow - 042. Purple Description ..
ItStyle Make Up Milano Transparent Mascara Description Transparent gel mascara wi..
ItStyle Compact Eye Shadow - 10. B..
ItStyle Make Up Milano Compact Eye Shadow - Color 10. Blue Navy Descript..
ItStyle Eye Brow Ash - 3. Black..
ItStyle Make Up Milano Eye Brow Pencil Ash - Color 3. Black Description ..
ItStyle Compact Eye Shadow - 054. 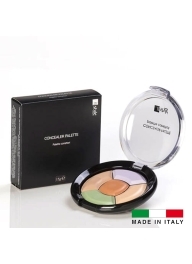 ..
ItStyle Make Up Milano Compact Eye Shadow - 054. Chocolate Mat Descripti..
ItStyle Make Up Milano Liquid Concealer - Color 1. Beige Description Light,..
ItStyle Eye Brow Pencil Ash - 4. 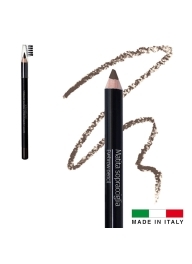 ..
ItStyle Make Up Milano Eye Brow Pencil Ash - Color 4. 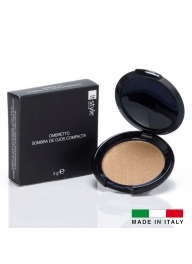 Moro/Cenere Description ..
ItStyle Compact Eye Shadow - 033. ..
ItStyle Make Up Milano Compact Eye Shadow - 033. Pistache Description ..
ItStyle Eye Liner Pencil - 7. Brow..
ItStyle Make Up Milano Eye Liner Pencil - Color 7. Brown Description S..
ItStyle Compact Eye Shadow - 058. 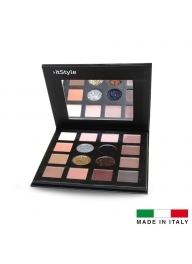 ..
ItStyle Make Up Milano Compact Eye Shadow - 058. Black Mat Description ..
ItStyle Compact Eye Shadow - 059. ..
ItStyle Make Up Milano Compact Eye Shadow - 059. Forest Green Mat ..